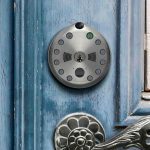 Keyless entry, or more correctly ‘smart lock’, for home is old news. The market is chock full of them, but for some reasons, this new entrant called KeyWe has the Internet going gaga. 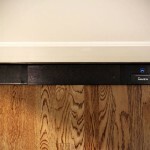 It is on its last leg on Kickstarter and already, it is nearly 1,600 percent funded. Holy… The campaign is said to have hit its funding goal of $30,000 in just 3 hours. At the time of this writing, it has pulled in over $450,000 with 2,651 backers behind it. I was curious. I saw it being promoted on Facebook, but surely, promotion on Facebook and possibly elsewhere couldn’t bag it so many supporters, could it? I decided to find out why. Then I realized. One of the factor could be pricing. You could score one (as an pre-order) for just 99 bucks and to top that off, delivery is promised to be next month, August 2018. 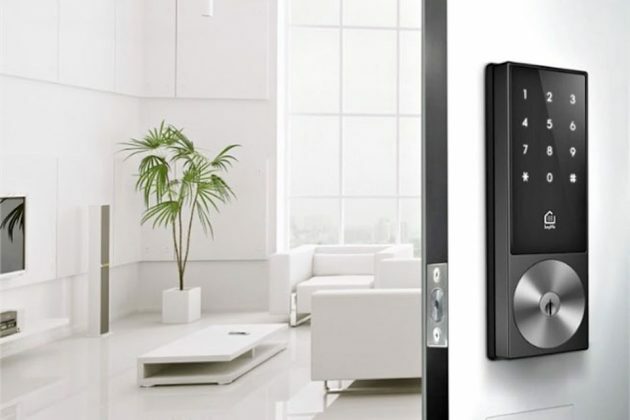 Beyond those, KeyWe boasts feature like an ANSI Grade 2 deadbolt built with super strong materials that could withstand roll over a vehicle. Though you probably don’t need that kind of toughness. No one is going run down your front door with an automobile, but you know it will survive if it ever happen. In any case, you know it is super tough. 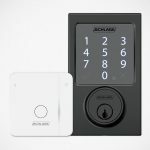 Furthermore, it also touts AES encryption, six different ways to open the door, and works via Bluetooth, WiFi, and Z-Wave. As expected from such high-tech lock, KeyWe will auto unlock when you are near the door and automatically lock after you have enter. 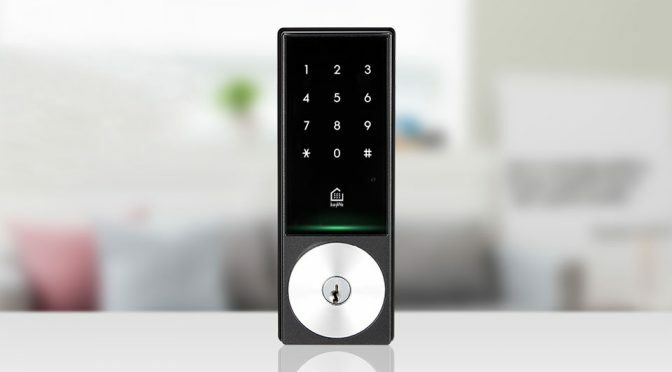 In addition, you or your guest can enter with assigned passcode on the built-in touchpad and there’s NFC, so you can enter using your phone’s NFC function, or the supplied key card. In case you are feeling nostalgic, there’s a mechanical key too. And oh, it also with Alexa. Sweet. 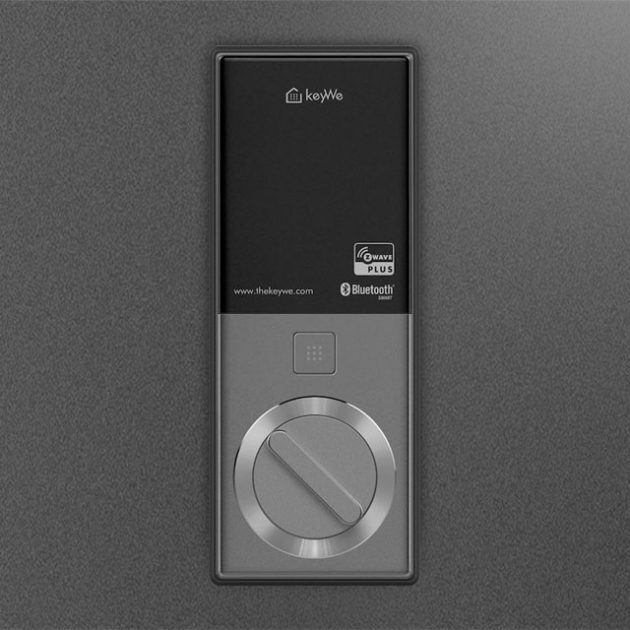 Like many smart locks before it, it can issue one time passcode, passcode with specific effective period, and it will log entries made through doors with KeyWe installed. Imagine all the aforementioned features for just $99 (eventual MSRP is $199, btw). It is no wonder why it has attracted such an attention. If you are keen, you may want to consider picking up one as a pre-order on Kickstarter too, but you have to act fast, cos’ the campaign will end in 70 hours. Before that, you may want to check out the product pitch video embedded below.